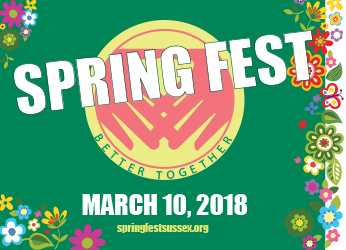 Families are invited to a day of free fun that emphasizes healthy living on Saturday, March 10, from 9 a.m. to 2 p.m. at Spring Fest–Better Together at Hamilton High School. Entertainment includes Irish dancers, a mariachi band, magician, balloon-twisting clown, mascots and the Sheriff’s Department K-9 unit. Hands-on children’s activities include bulb planting, indoor inflatable speed pitch, a cheer clinic and bike helmet-fittings. Check out the Spring Fest website for more information.